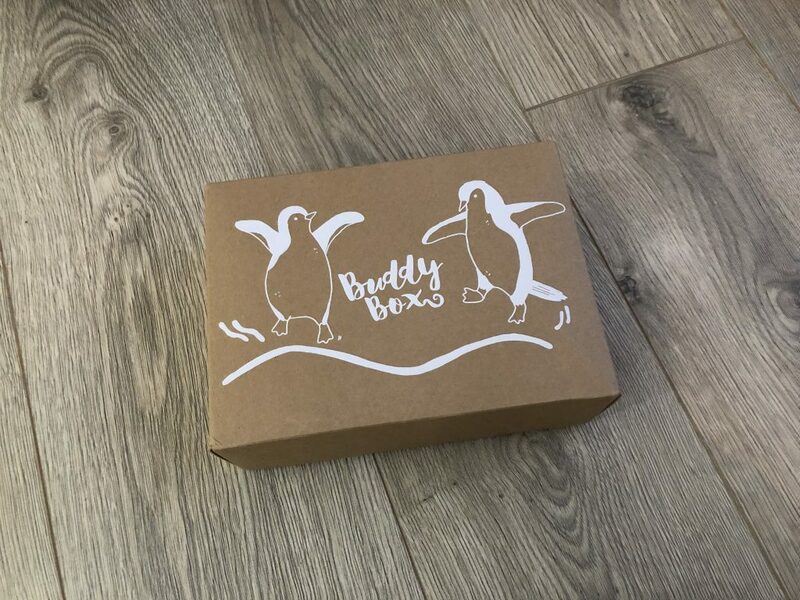 So January’s box is called “Waddle Be”, the titles are always ones again to make you laugh or smile. What will be is exactly what will be as the title says. “Waddle Be”. 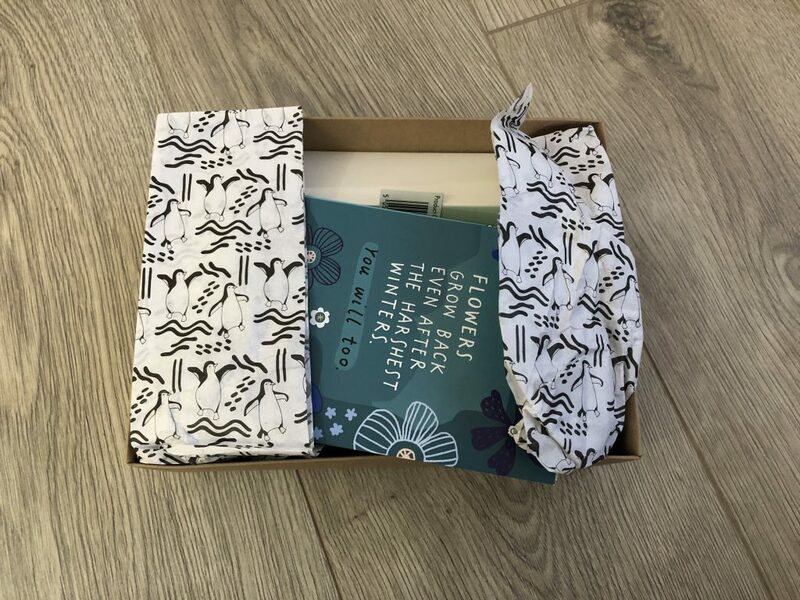 The box is always a plain cardboard with the lid printed with something to tie in the theme. This month being Penguins. When opening the box up they alwasy use tissue paper to try cover all the goodies in the box. 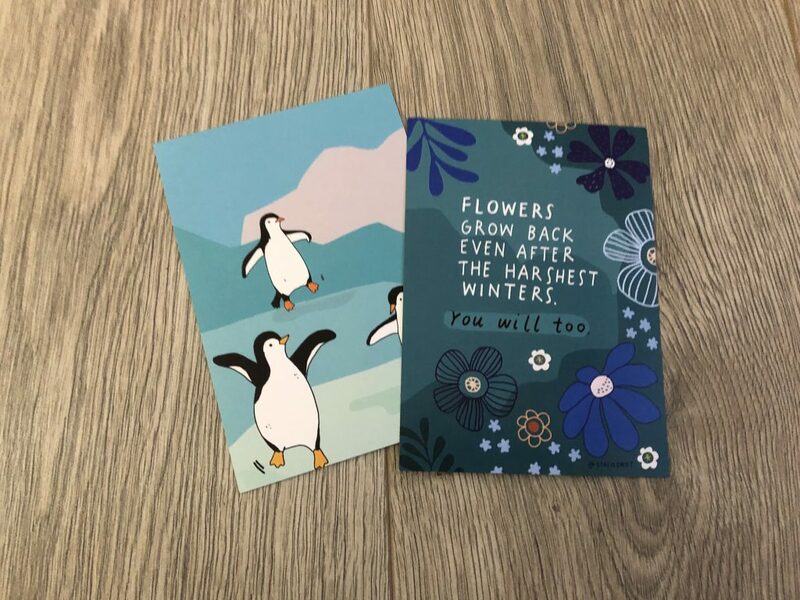 This months has a print of penguins all over. Its really cute. The penguin postcard lists the prices of everything in the box, and for sometime you can buy the majority of the items on their website. The other is a really good phase and one I think is very true! ‘Flowers grow back even after the harshest winters. You will too.’ This is totally true. Everyone has a bad time like the flowers. If a flower can grow back or through the bad times then so can you! Tea isn’t my thing, in fact I don’t like any hot drink! But I do know that tea or a hot drink to wake up to can be good for some people. It can refresh you and prepare you for the day ahead. 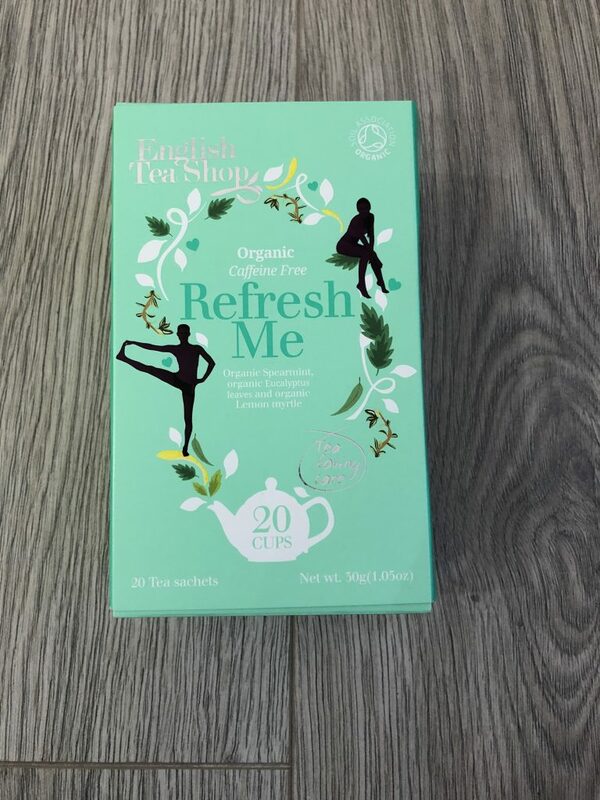 This 20 cups of teabags pack is really good for self-care and for most people just not for me. This is ok though my best friend tries all the hot drinks testers I get. 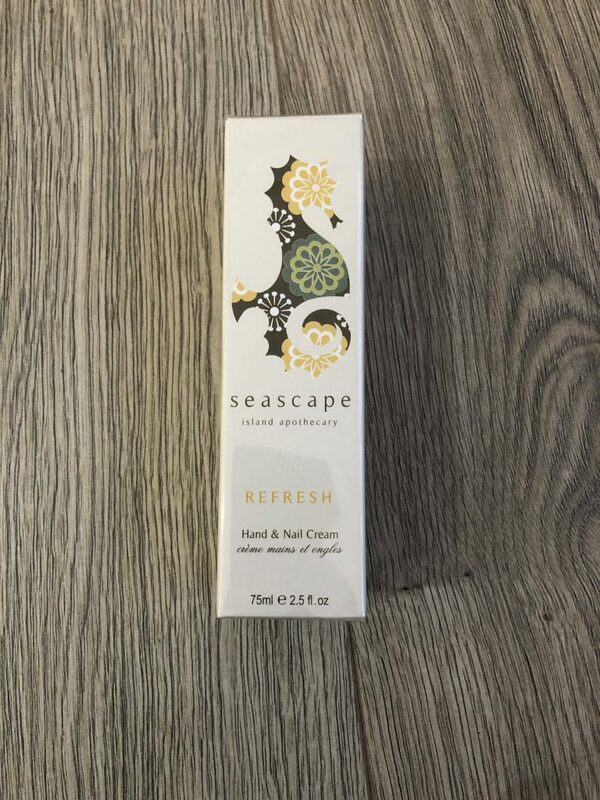 Seascape is a really good brand, I found the Seascape products through another Buddy Box but I have never tried their hand and nail cream. I can’t wait to try this as its a really good size and handy for work or my handbag. I really recommend their brand after finding another product of theirs very useful! This pen really does make me smile. I am 28 but even as a 28 year old it will be fun to use this pen. 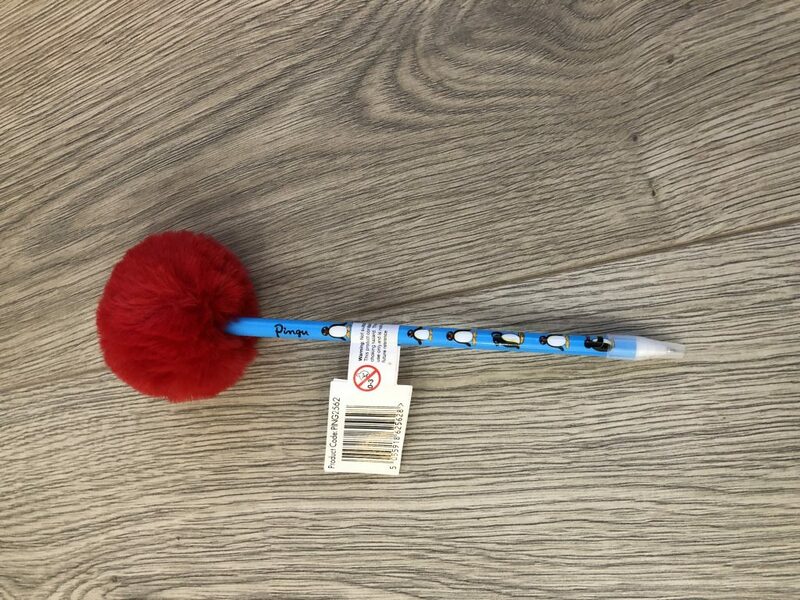 Its obviously a Child’s pen, Pingu is printed all over it. I remember watching Pingu as a child. Then the big red pompom on the top. Imagine feeling a little run down, sad or just having the January blues and picking this pen up to write in your journal. Just instantly puts a smile on my face. Anyone else feel that way? 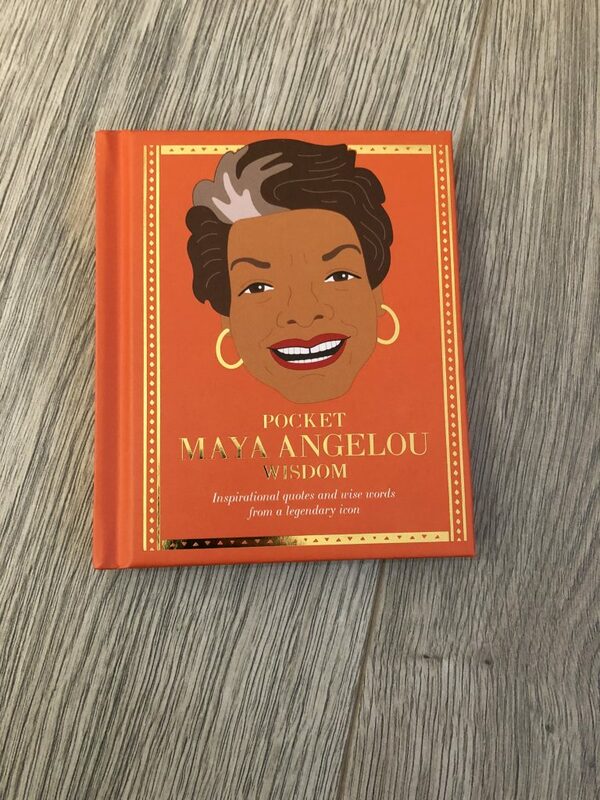 So I haven’t heard of Maya Angelou before have you? The book says she’s a famous doctor. Anyway this book is really handy to have. I always search Pinterest for quotes and that and its really good if you need a little bit of inspiration to get you through the day. The book is split into sections such as love and self-empowerment. The quotes seem good ones and ones I can definitely see as true. Again this is the second time I have received a shower bomb. But I have to say the one I had before was really good. 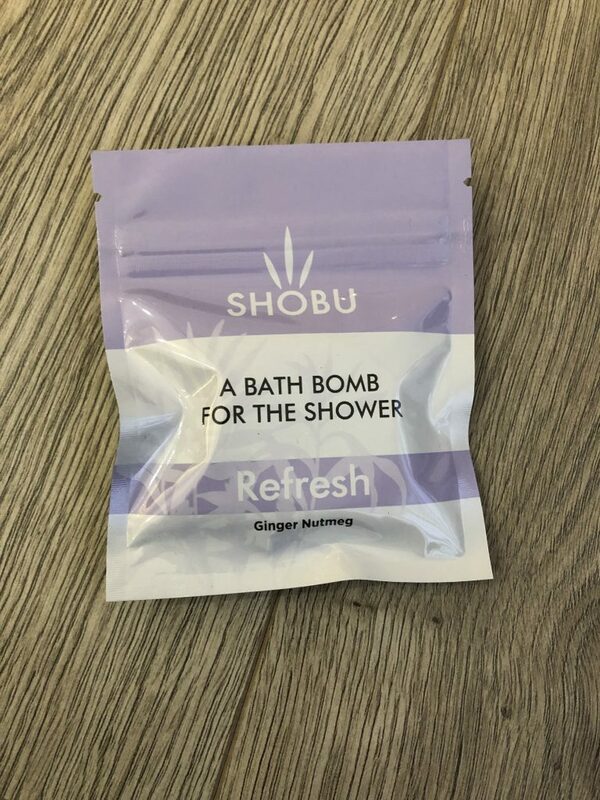 I haven’t overly seen shower bombs before, but I used my last one and it was amazing. It wasn’t in Ginger Nutmeg so I am excited to try this one. I love the brand and the fact that you can use this in a shower or bath is an added bonus. A good long hot shower with good fragranced products, or a nice long bubble bath is such good self-care. Its a time for me to have a little me time, away from my phone, sitting or standing there meditating really. 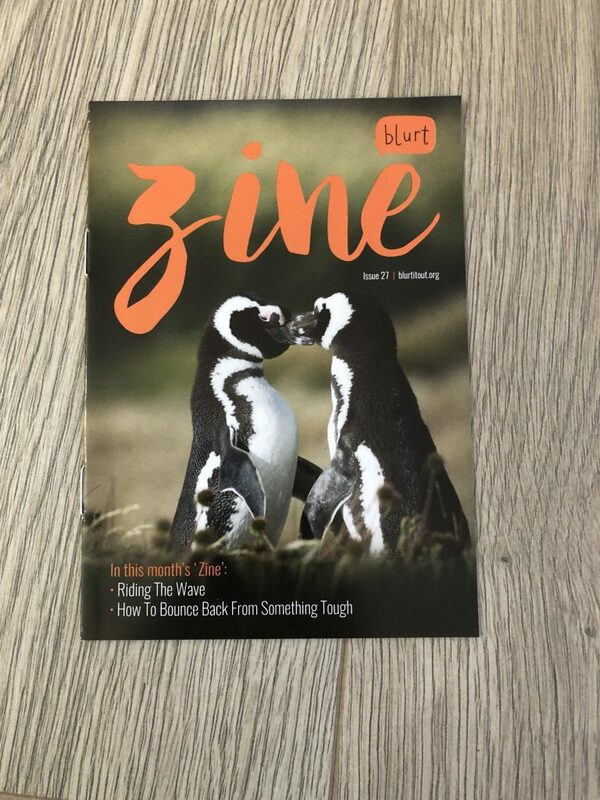 So every month you get a little Zine magazine. Its about 6 pages long and its a quick read through to keep you going for the month. It talks about the subject of box as well as advice on things you may need help with. How cute is the front cover? That is everything in January’s ‘Waddle Be’ buddy box. Do you practice self-care? Would you buy this box or would you give it to a friend or family member who needs an extra hug that month?